Glycemic Index & Glycemic Load – Krystal Ross, BS. May 14, 2013 May 20, 2013 Krystal Ross, BS. 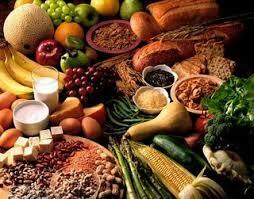 The glycemic index (GI) is a numerical index that ranks carbohydrates based on their rate of glycemic response. There is a scale of 0 to 100, with higher numbers given to foods that cause the most rapid rise in blood sugar. GI of 55 or below are considered low and 70 or above are considered high! Glycemic Load (GL) is your body’s glycemic response of the type and the amount of carbohydrate consumed. Therefore, you can control your glycemic response by consuming low-GI foods and/or by restricting your intake. GLs of 10 or below are considered low and 20 or above are considered high! It is calculated like so: GL = GI/100 x Net Carbohydrates (net carbs are equal to the total carbs minus dietary fiber). Your body performs best when your blood sugar is kept constant. If your blood sugar drops too low, you become fatigued and/or experience hunger. If it goes too high, then your brain signals your pancreas to secrete more insulin. Insulin brings blood sugar back down by converting the excess sugar to stored fat. When you eat foods that cause a rapid increase in blood sugar, you may feel an initial elevation in mood and energy, which is followed by a cycle of increased fat storage, fatigue and hunger. However, there are times when high glycemic index foods should be eaten, such as immediately after intense exercise because insulin helps move glucose into muscle cells where it aids in tissue repair. •	Food preparation: food processing, such as grinding or cooking elevates GI because it makes the foods easier and quicker to digest. •	Biochemical Individuality: the rate individuals digest carbohydrates varies and may vary by time of day. Different people produce different insulin responses. Always keep in mind that the glycemic index is helpful, but focusing on diverse, whole foods is a sure way to eat a balanced and healthy diet. It’s very difficult to overdo carbohydrates, especially harmful ones, when consuming a whole-foods diet rich in colorful antioxidant fruits and vegetables with moderate amounts of starchy vegetables & whole grains (non-gluten) and high quality proteins and fats. -Fiber- both soluble and insoluble: helps keep cholesterol and triglyceride levels optimal, aids in removal of toxins and toxic metals, supports bowel health and regularity, helps maintain steady blood sugar levels and helps keep away unwanted pounds! Previous Post Spaghetti Squash & Sauted Veggies = Delicious & Nutritious! extremely fast for me on Internet explorer. Outstanding Blog!